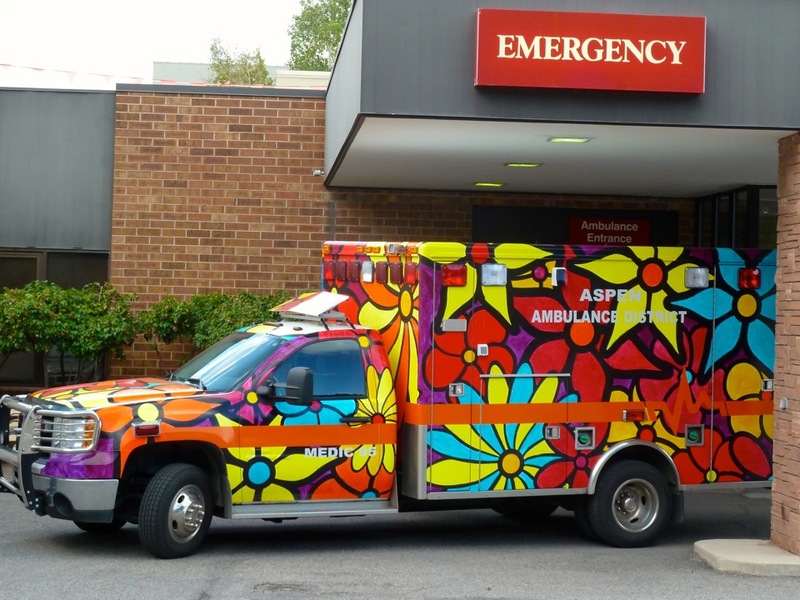 An ambulance managed by the Aspen Ambulance District in conjunction with Aspen Valley Hospital. ASPEN – Pitkin County commissioners Tuesday endorsed the drafting of a potential November ballot question that would increase the taxing rate for the Aspen Ambulance District, which is squeezed between a drop in revenues from insurance payments, rising costs for medical equipment and training and the need to upgrade its main facility. “It would be good to think about going this year,” Commissioner Rachel Richards said, noting that the fall 2014 ballot does not look like it will be crowded with other tax measures and voter turnout should be relatively strong in November. The ambulance district has an annual budget of about $1.5 million and $430,000 of that comes from taxes on property within the district, which includes most of Pitkin County except for Snowmass Village, Basalt and the Crystal River Valley. The district’s taxing rate, or mill levy, was set at .82 back in 1982, but it has been steadily ratcheted down to .22 in order to comply with the Taxpayers Bill of Rights, or TABOR, which was passed by Colorado voters in 1992 and limits the amount of additional revenue a taxing entity can receive as property values increase. The ambulance district now wants to ask voters to approve removing the TABOR restrictions, in full or in part, from the district in order to increase its property tax revenues. This process is often called “de-Brucing” in reference to Douglas Bruce, the person behind TABOR. Richards observed that voters might be more open to setting the mill levy somewhere below the .82 level and instead have the potential increase pegged to the specific financial needs of the district over the next 15 years or so. The current taxing rate of .22 brought in $419,015 for the ambulance district in 2013 and is expected to bring in $429,227 this year. The tax revenues help make up the difference between the cost of providing quality ambulance service in a rural community and the revenue the service brings in, observed Pitkin County Manager Jon Peacock after Tuesday’s work session. Peacock said that many ambulance districts in larger cities earn revenues from transferring patients between different types of medical facilities, but such revenues are scarce here. But it has not had a savings account, and budget projections over the next five years show the district’s reserves dropping significantly. “With the current funding model, the [district] will reach an unacceptable level of reserves in 2017, and will lose all reserves in 2018,” Peacock told the county commissioners in a staff memo. Last year, the district billed approximately $1 million for services, after responding to 1,156 service calls. And while it may have sent bills for $1 million worth of service in 2013, the district received only $800,000 in payment for those services after reviews by insurance companies and payments by patients. And ongoing changes in the insurance markets indicate such payments for services are going to fall. “Our revenue model will not sustain the district, with the rising costs of operations,” said Gabe Muething, the recently appointed supervisor of the district. Another trend is that “refusal of services” on ambulance calls is going up, according to Muething. When an ambulance goes out for a call, sometimes just a Band-Aid and some medical advice is all that is needed, he said. “And that is certainly OK,” said Muething, who noted that the district does not charge for such “advice” calls. He also said people are increasingly aware there is a high cost to get a ride to the hospital in an ambulance — about $1,000 locally — and an increasing number of people are opting to get a ride to the hospital from a friend or family member when it makes medical sense to do so. Another growing concern for Muething is the state of the district’s 2,800-square-foot station, which was built on county land next to the hospital in 1992. Today, the district has four ambulances but the building only has three garage bays, and newer, bigger ambulances barely fit inside them. The building allows for three ambulance drivers to eat and sleep and work during their 24-hour shifts — but the aging space needs to be renovated or replaced, Muething said. The Aspen Ambulance District has 30 full and part-time employees, who work for AVH as the county has a management contract with the hospital to provide ambulance services. Of the district’s employees, 22 are paramedics and eight are EMTs. Of the 22 paramedics, nine are “critical care” paramedics with a very high level of training and expertise. Editor’s note: Aspen Journalism and the Aspen Daily News are collaborating on coverage of Pitkin County. The Daily News published this story on Wednesday, July 9, 2014.